100% in Trinkwasserprojekte - 2aid.org e.V. 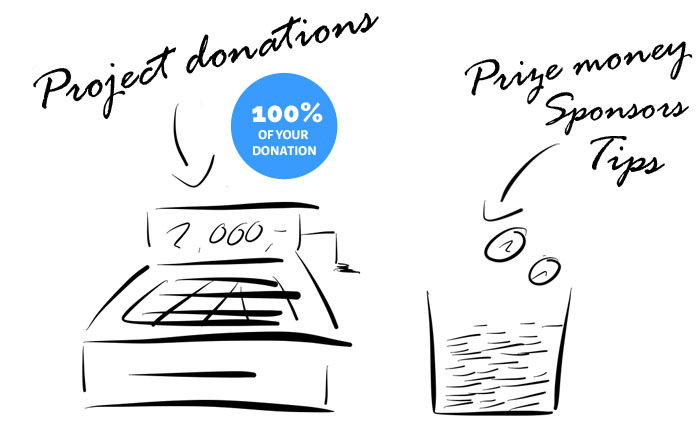 100% of your donations will get there. Guaranteed. A 100% of all project donations are directly being transferred to our local Safe Drinking Water projects. If you want your donations to reach people in water deprived areas, they do. Unconditionally. To achieve complete transparency, we have created 2 separate accounts: one for project donations and the other for administrative donations. Money from the administrative account (to which mainly prize money and explicitly dedicated donations contribute) are utilized for management and admin tasks such as our annual on-site monitoring visits. We are often, if we carry a charity accreditation seal. The simple answer is No. After extensive research and much discussion to evaluate the value of this, we have decided against applying for a charity seal accreditation. Application for a charity seal is rather pricey. Furthermore, this needs to be renewed every single year. With this money, we are able to construct a well and renovate it yearly (The costs for the charity seal includes a registration fee, a basic application fee and an additional fee, depending on the donations volume received). With this in mind, our decision was rather easy! Through research, however, we discovered the ‘Transparent Social Business Initiative’ (German: “Initiative transparente Zivilgesellschaft”). This initiative distributes 10 points to any organization that is accessible to the public.